Sorry I haven’t been in touch with a blog post or training video for a while. I was on vacation with my family at a pretty little town by the sea. If you’ve read my book “The Leader Who Had No Title” you know I strongly believe that a giant key to best performance is alternating periods of intense productivity with periods of deep renewal. So I was out by the ocean walking my talk. …As mentioned, in June, over one truly unforgettable weekend in beautiful Toronto, Canada (one of the world’s great cities), people from over 30 countries attended my new self-mastery event called “The 48 Hour Transformation” (T48T). We had a few billionaires with us, top executives, tons of entrepreneurs, peak athletes, artists, authors and other brave dreamers from so many walks of life ready to shatter their limits and achieve 20X the results they’d ever seen before. Deeply held fears were released, all-new levels of confidence were installed, ridiculously positive mindsets were constructed and childhood dreams were rekindled. What could be cooler than being a part of that? And the transformations I witnessed by Sunday really were truly phenomenal. I feel BLESSED to have just been there. Such inspiration, positive energy, devotion to world-class and commitment to making the world a better place. 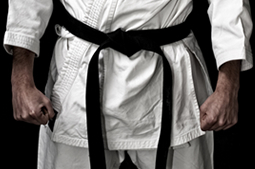 So to be of service to your highest ambitions, I wanted to share 7 of the “black belt” ideas that were so valuable to the hundreds of people who attended, based on what they told me after the event. #1. NOTHING WORKS UNTIL YOU DO THE WORK. Look, the only thing that’s rocket science is rocket science. The material, systems and daily performance rituals I taught at The 48 Hour Transformation work beautifully. But like anything, you need to make the commitment and then do the work. Not once a quarter. Not once a month. Daily. When you’re tired. When you don’t feel like it. When you want to give up. That’s how champions play. And please also remember that consistency is the essence of mastery. Show up, practice hard, stay at it and awesome results will come. #2. TO GET THE RESULTS ONLY 5% OF THE POPULATION GETS, HAVE THE GUTS TO DO WHAT ONLY 5% DO. You can follow the herd or you can transform your world. But you can’t do both. The majority of people have given up on living a “rare air life”. Sad. They’ve been smacked down, told “no” to and hypnotized into performing at average so long they don’t believe in their genius any more. Failure’s got a bad rap. Failure is part of the learning process. It’s valuable. It’s helpful. It’s massively instructive. Understand that failure’s a kind teacher. Just leverage the data it delivers for even more success. #4. CHANGE IS HARD AT FIRST, MESSY IN THE MIDDLE AND GORGEOUS AT THE END. This idea really moved people at T48T. Inspired them. Helped them to viscerally get that change is a process. At the beginning of any change (from losing weight to stopping worry to multiplying your sales to saving more money), you’re fighting the gravitational pull of your old habits. And if you’ve practised those habits every day for decades, how can we expect them to be replaced in a day (the latest research from University College of London says it takes 66 days to install a new habit). So it’s hard at first. And so most of us give up. But if you stay with it, you get to stage 2 and that’s where your old habit starts to crumble. And your new one begins to form. It’s messy at this point. Confusing. A little scary. And completely normal. And then, with grit and devotion, the new habit becomes your new normal. This is a great time on the journey to unleashing your potential. And life’s never the same. An amazing life isn’t constructed via revolution: one bold act on a sunny Tuesday that makes you great. All exceptional achievement (whether it’s chess mastery, entrepreneurial success, athletic championship or financial wealth) is the result of daily, consistent actions that over time creates explosive results. It’s all about the hard work. It’s all about the steady practice. It’s all about the insane levels of persistence. And if you do it (and start saying no to all of those time wasting activities so many of us are seduced by in this Age of Dramatic Distraction), you too will get to your mountaintop. Powerful idea: once you know more, you can achieve more. And I still recall a long lunch with a man who built a fortune where he shared “the years I spent three hours a day in personal development were the most financially rich years of my life.” Three hours. Each day. In learning. Studying. Improving. My hero. If you really want to get to great in the important areas of your life, invest in the books. Go to a conference every quarter. Spend the cash on the online course. Download the audiobooks. And hang with the best (bonus tip: mindsets are contagious). This idea had people at The 48 Hour Transformation talking all weekend. Attendees really got that awesome lives are not built on a foundation of excuses. Sure-it’s easier to blame others or conditions for the lives we have. That way we don’t have to leave The Safe Harbor of The Known and make any changes. But that’s how cowards live, no? We have the lives we’ve created. We’re living the lives we’ve settled for. And if your life isn’t working, it’s not because of anyone else or anything else. It’s because of us. Our beliefs (that drive our behavior). Our fears. Our habits. And our actions. The moment you wrap your brain cells around this idea and accept APR (Absolute Personal Responsibility), life is NEVER the same. You start taking back your power. Doing the difficult things. Taking chances and making leaps. Life gets exciting and colorful and precious and fantastic. You deserve to live at world-class. So make your changes today. Hope this post helps you win. And I hope you’ll post a comment below so we continue the conversation. P.S. PLEASE NOTE: The next “48 Hour Transformation” will be held in Toronto, Canada on June 7+8, 2014 (the VIP day will be June 9, 2014). Many of the hundreds who attended T48T2013 are coming back and the interest in getting a seat is already extremely high. Get onto the T48T2014 waiting list now.